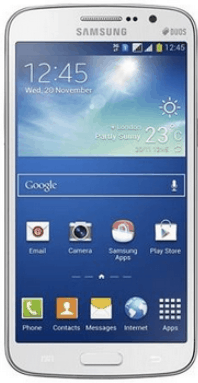 Samsung Galaxy Grand 2 is beautiful design smartphone with awesome specifications. In the world of smartphone, everyone want to update their phone and wait for the release of new android update. But if you are unable to receive OTA update, then you will have to manually download and install the updates on your mobile. In that case, you need to download the required usb drivers for your smartphone in order to connect it to your computer and Odin tool. In this article, we are providing the driver pack for Samsung Galaxy Grand 2 Which include the USB Driver. Regarding the display, the phone has 5.25 inches large display supporting resolution of 720×1280 pixels. The version of software installed on it is Android 4.3 upgradable to 4.4.2 (Kitkat). The phone packs internal memory of 8 GB with 1.5 GB RAM and also support micro-SD card upto 64 GB. The camera of the phone include 8MP Primary camera with LED flash and 1.9MP secondary camera for selfies. The connectivity medium include WLAN, Bluetooth, GPS, Radio and USB. It is equipped with quad-core 1.2 GHz cortex-A7 processor along with Li-Ion 2600 mAh battery to support the power back-up. Download USB Driver For Galaxy Grand 2.